When you're at wit's end trying to convince Raymond that he needs to clean up that pigsty of a bedroom because it's starting to attract the local wildlife and you can't be completely certain that a rat colony hasn't already formed under that pile of funky laundry, it's time to up your game as a parent. 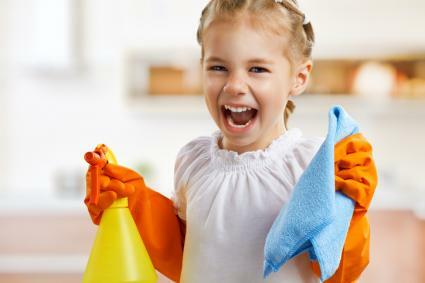 If straight negotiations and pleasant requests are going down the gutter, you just might have to trick your kids into doing their chores. Take an otherwise mundane task, put it in the context of a game show, and you've got yourself a winner. 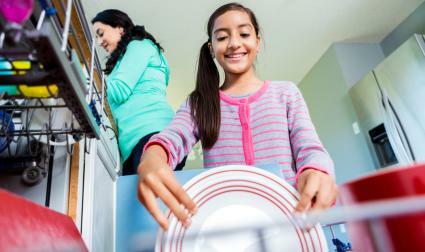 It worked for Guy Fieri and Minute to Win It, so why can't it work for you and your kids' chores? Can Jimmy successfully fold and sort a laundry basket full of clothes in under 60 seconds? How many chores picked from a bucket can Jessica complete in only 30 minutes? It might not be quite as exciting as trying to knock over an empty can with a yo-yo tied around your waist or attempting to stack three golf balls on top of one another, but it's probably a bit more practical. The grand prize? A (temporarily) clean home. Is your kid aspiring to become the next Kobe Bryant or Lebron James? Before he or she can score that sneaker deal and get on the front of a cereal box, he or she has got to hit nothing but net... with dirty underwear. A remarkably simple solution is to place a small basketball hoop above the hamper and above the trash can. Instead of placing items into their respective receptacles, they can shoot from the virtual 3-point line and be named the room-cleaning MVP. Bring on the endorsement deals. Alley-oop! Kids want to feel like they're in charge, like they're in control. Use that to your advantage, just as how you might trick them into eating healthily. Let's say the dishes need to be washed and the stairs need to be vacuumed. Let's say that little Lucy has a birthday party to attend later. Set up the situation so that Lucy gets to choose. Does she want to wash the dishes or vacuum the stairs? It's not really a choice, per se, because only after both tasks are complete (you can help with the other) can the reward (a birthday party) be enjoyed. Lucy gets some sense of autonomy and your home is cleaner for it. Non-parents with their child-free bliss are often shocked by the war zone of a home populated by toddlers and children. The daily struggle is little more than a game of survival. Without declaring martial law throughout the land, it is possible to bring order to such a brightly colored dystopia. 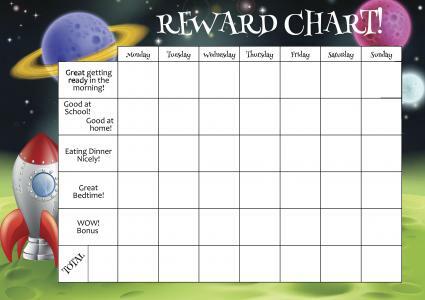 Enter the chore chart. You can even make one out of LEGO if you want. The idea is that the weekly chores cycle through the inhabitants of this strange land. This way, kids get "something new" to satiate their voracious appetite for perpetual novelty. If you want it to be a little more random (or you only have one child), get them to pick a chore out of a hat so it's not so predictable. At ease, soldier. At ease. What better way to teach the ways of the world to a young child than with the joys and thrills of compulsive gambling? Roll the dice, flip a coin, or spin the roulette wheel, because Kimmy needs a new Barbie doll. Kids get to enjoy the brilliant anticipation of wagering a bet while getting the same false sense of control that adults get at the casino. 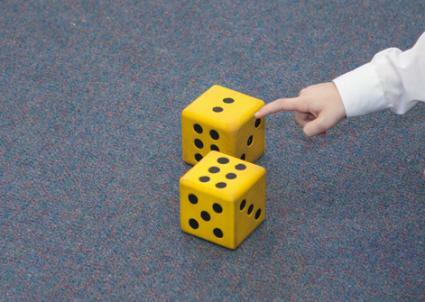 With the example of rolling a die, each possible result could be assigned a certain outcome. A "one" could mean doing the dishes, a "two" could mean folding the laundry, and so forth. The key here is that at least one result is highly desirable, like getting an extra half hour of Xbox or the option to choose what to have for dinner. In the long run, the house always wins - as long as you stack the odds in your favor. This trick will work far better on younger children, as older kids will quickly catch on to your clever deception. For this, you'll need to call in reinforcements of the fictional but highly influential variety. You're not being the authoritarian. You're on the kids' side. 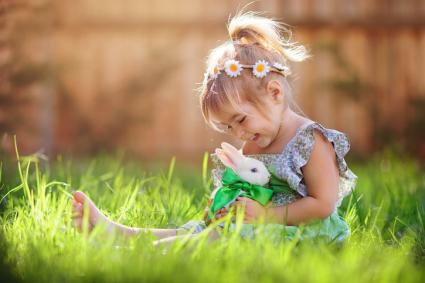 Convince them to pull the weeds in the garden, because it will make the Easter egg hunt a lot easier next week. The Easter Bunny will have a much harder time finding good hiding spots. Roger had better clean his room, otherwise the Tooth Fairy won't be able to navigate through it to retrieve his tooth and deliver the cash. And if Patty doesn't pick up all her toys, Santa will trip over them and assume she already has too many, skipping over her gift entirely. Who needs the Elf on the Shelf? You're not manipulating your children by using these tricks. It's simply called parenting. When all you've got is dirty laundry flying in every which direction, a lawn that belongs in Jumanji, and a child's bedroom that looks like the ruins of a zombie apocalypse (complete with a drooling creature muttering nonsensical babble), you've got all the justification to pull out the heavy artillery. Chores are not the enemy.